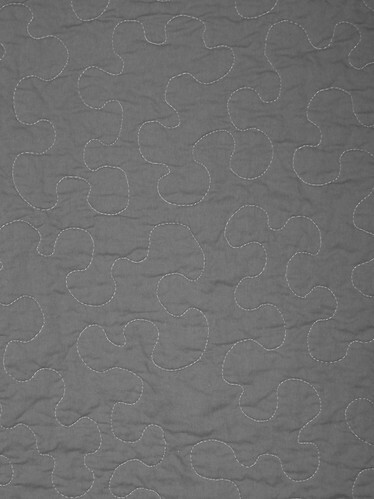 No, the back isn't gray, I just removed the color to show the quilting. 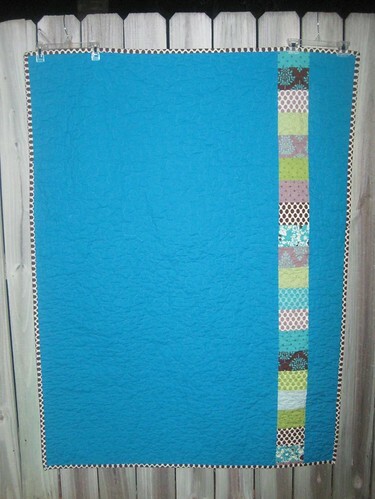 Since I took pictures at night (yes, really), it was the only way the quilting would show up. See my previous post for all the details about this quilt. Wow, that was fast! Looks great! Lovely and yet so simple! A great combo. ohhh! so niiicce! My BF just found out she's having a girl and I need a quicky to make for her. Are these 15" blocks? Would 3 rows of 3 blocks make about 45" square? I likey!! 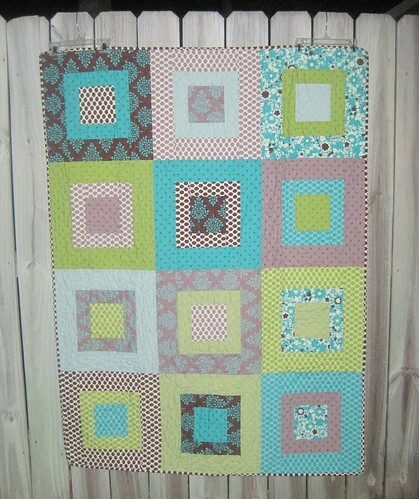 Another GREAT quilt! I love it! I have an award for you! Go see at http://carterchaos-ecarter.blogspot.com/2011/03/im-honored.html! That's beautiful! I love the colors!